Get ready to revamp your boards and rearrange your pins. This is how to drive traffic and attract fans. How does a business get creative on Pinterest? Here are some simple, easy ideas that almost any business—B2B or B2C—can apply. Maybe your company has machinery or products, and uses online videos to market them. Maybe you have “how-to” educational videos. Companies are starting to upload all their videos to YouTube, as well as their websites. In the past, you could only pin these videos to Pinterest from YouTube. 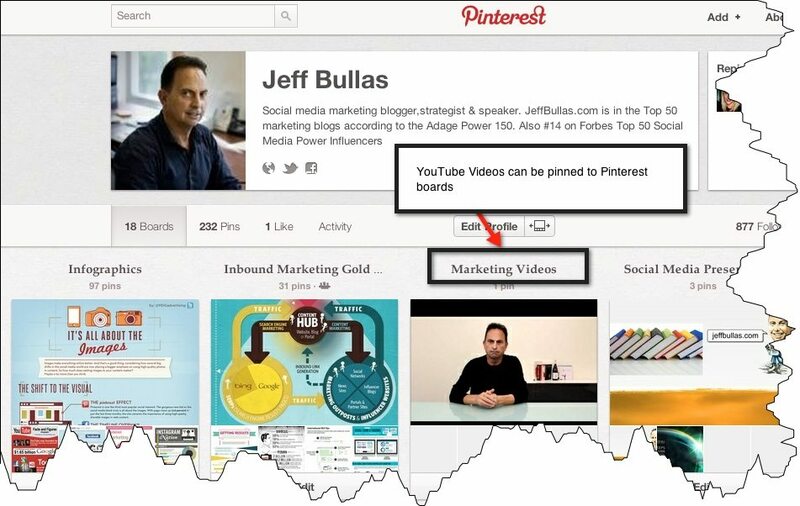 Pinterest just announced that it now provides the facility to pin a Vimeo video. 2. Create a “behind the scenes” board. 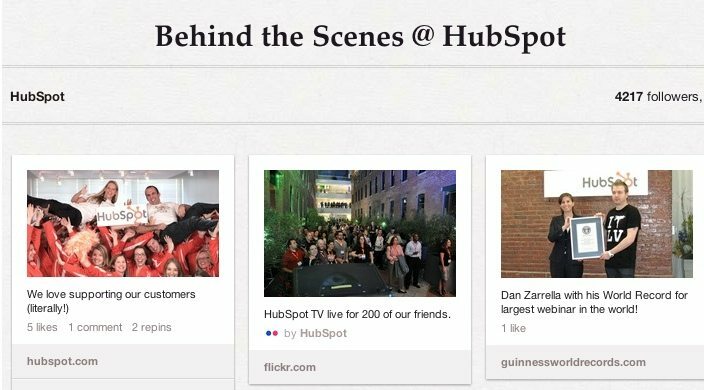 Hubspot personalized itself by revealing behind-the-scenes activities at the company. Employees can, and generally will, share photos of themselves and their friends on their boards. This tactic further spreads the Hubspot brand online. Nothing like a bit of employee-sourced marketing! 3. Create an “events” board. If you run an event for your business—whether it’s an annual, regular or one-time event—create a board to highlight attendees and speakers. I guarantee attendees will repin and share their photos, as long as you let them know about it with a follow-up email or tweet linking to the site after the event. Behance is a network that promotes its members’ creative talents. It uses Pinterest to showcase its work. This approach assists Behance and also markets its members. 5. Create a “books” board. Many savvy marketers have discovered the power of eBooks for both the B2C and B2B markets. Don’t forget to upload images of the front page of your eBook—or book—to Pinterest. You can link pins to Amazon by pinning from the Amazon Kindle page. If you promote and allow downloads to your eBook from your website or blog, you can also pin the image from that Web page. 6. Pin visuals from your blog posts. 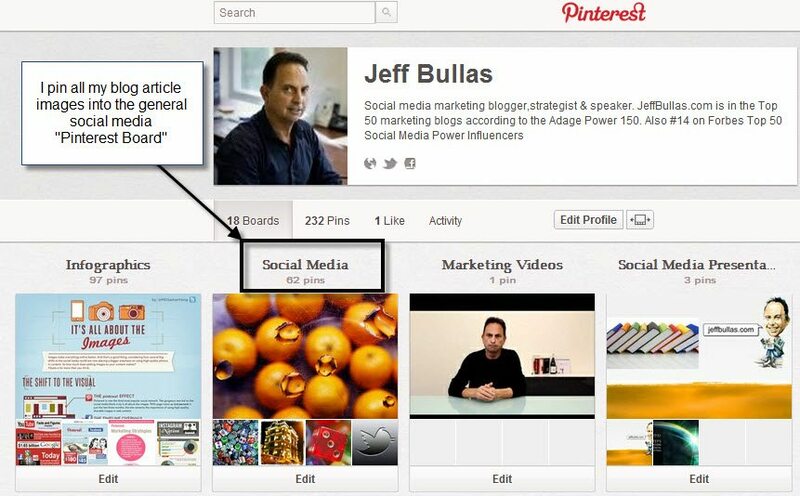 You should pin the images you use in your blog posts. Compelling and engaging images will make people curious about the post, and they can easily click through to your article. It is all about spreading links. 7. Tap into the visual and viral power of infographics. Infographics are hot, and almost every industry has them. In certain industries, especially technical and data-rich industries, infographics are very popular. 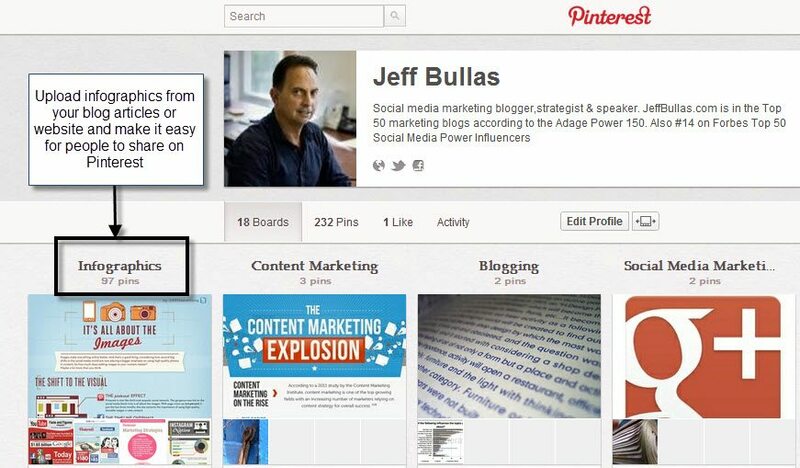 I have 97 infographics pinned on Pinterest, which drive significant traffic and, on some days, nearly match Facebook. 8. Create a “staff” board. Take photos of staff members and share their bios. It will highlight the skills and expertise of your team, and further humanize the business. 9. Highlight your products and services. Any business that has products and services has images to represent it. These can even include charts, graphs or icons. 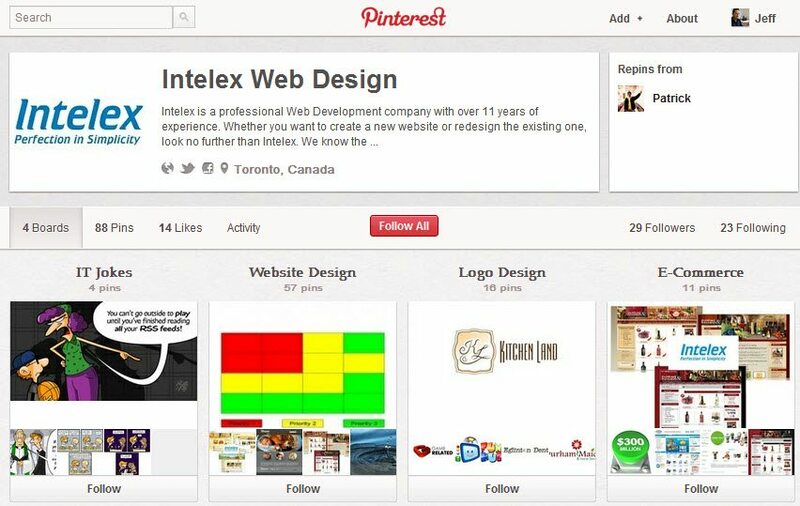 Think about images that represent your products and pin them to Pinterest. A printing company could provide examples of each of its services and use images to link to landing pages for placing orders, inquiries or calls to action. A Web-design company could put up its portfolio of Web designs and logos. 10. Create a board for your Slideshare presentations. Embeded in a blog post. Promoted on Twitter, Facebook and LinkedIn. I do these things out of habit, and they place my content and links onto social networks where millions of people search daily. To give you an idea of how powerful this is, my Slideshare presentations have been viewed nearly 120,000 times. Give your business the best chance of being discovered on the Web.